Chinese telecom giant Huawei, already beleaguered by growing concerns that security loopholes in its products could expose Western governments and consumers to espionage by Beijing, recently received further scrutiny with the arrest of its chief financial officer, Meng Wanzhou. Meng was arrested in Canada earlier this month at the request of U.S. authorities for allegedly skirting U.S. sanctions on Iran. The United States seeks her extradition to face trial. The case has escalated into a diplomatic row after the Chinese regime detained three Canadian citizens working in China, apparently in retaliation for Meng’s arrest. To battle the negative press and ease international concerns about the risks of doing business with Huawei, the company recently invited about two dozen journalists from international media outlets for a press conference at its headquarters in the manufacturing hub of Shenzhen City, Guangdong Province. For a company known for its opaque ownership and secrecy, it was a rare sight to have CEO Ken Hu address the crowd of international journalists on Dec. 18, which included staff from Bloomberg, The Associated Press, The New York Times, The Wall Street Journal, and South Korean newspaper Joong Ang Daily. The newspaper reported that Hu tried hard to allay concerns about Huawei’s close ties to the Chinese regime. He claimed that Huawei “is not an industrial organization connected to the Chinese government, but is a technology company,” read the Joong Ang Daily report. In fact, the company’s founder, Ren Zhengfei, is a former military officer. The tech firm developed core technology used in China’s internet censorship apparatus; counts numerous local government entities as its clients, including for the company’s artificial-intelligence-enhanced video surveillance technology; and outfits the Chinese military with telecom equipment. China’s national laws also require all citizens and organizations to assist with “national intelligence work” and keep the intelligence-gathering secret. Meanwhile, China’s mass surveillance system has drawn criticism from experts about its invasive monitoring of citizens. At the press conference, Hu claimed that there was no documented example of Huawei’s security risks, and urged the public to provide such evidence. “Without factual evidence, we don’t accept and we oppose those allegations,” he said, according to a Reuters report. 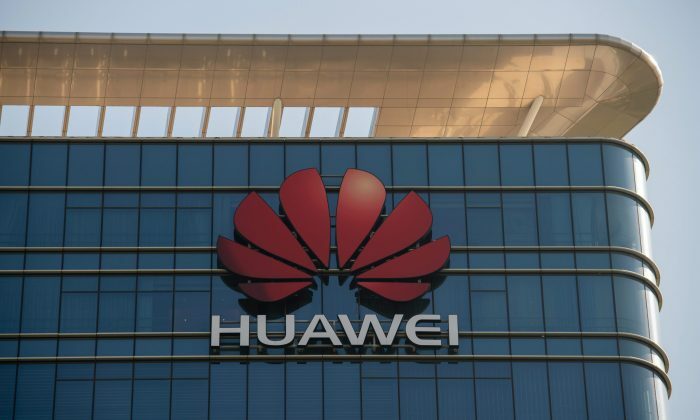 Australian media also recently cited national security sources who had evidence of Huawei executives being pressured by Beijing to disclose access codes, in order to help authorities infiltrate a foreign network. Hu tried to ease fears by announcing that Huawei would spend $2 billion over the next five years to focus on cybersecurity measures. He also tried to portray Huawei as a reliable company that has secured many deals for its 5G mobile technology, announcing that it has over 25 commercial contracts for 5G, and has shipped over 10,000 5G base stations. But many countries have already partially or fully shut out Huawei due to national security concerns, including the United States, Australia, New Zealand, Japan, South Korea, India, and the United Kingdom. About Meng’s arrest, Hu said the case has had no impact on travel plans of the company’s senior executives. He also expressed that Huawei still has intentions to break into the U.S. market.